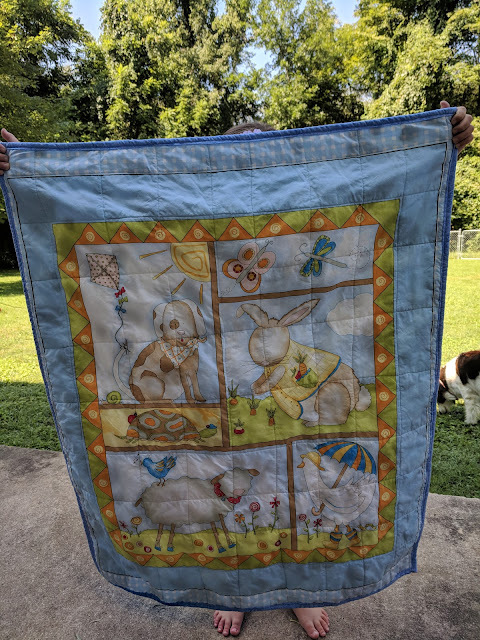 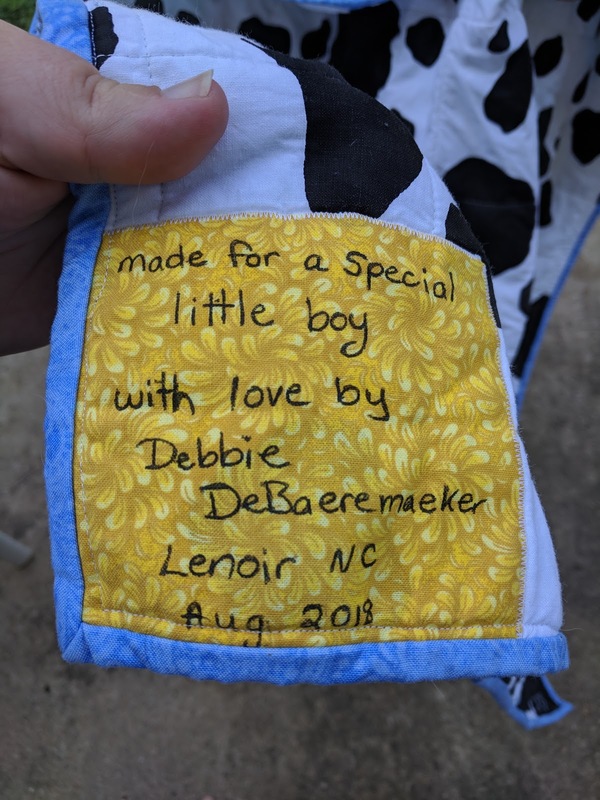 I saw on Facebook that one of my fb friends in town adopted a baby boy and I wanted to make them a baby quilt. 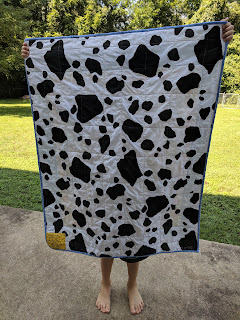 and Mike is the owner of the local Chick-fil-A so I had to use the cow spots on the back! 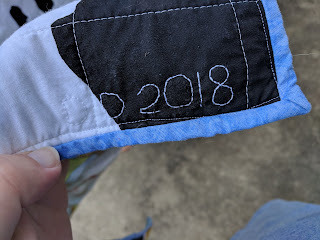 A quick and easy baby quilt with an awesome reaction when I gave it to him today.